For better or worse, many of us spend a large portion of our waking hours in the office, so naturally, having a work atmosphere we actually enjoy is key. There are plenty of office decor options out there — from smart aquariums to framed digital canvases — but there’s another surface you can make over that you may have overlooked: your desk. 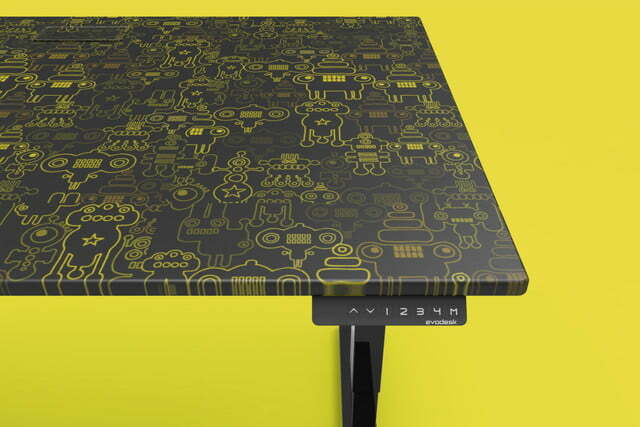 Evodesk has today launched Deskshields, a decorative shield for the company’s standing desks. Made from automotive-grade cast vinyl and covered with laminate, they’re durable, removable, and changeable. 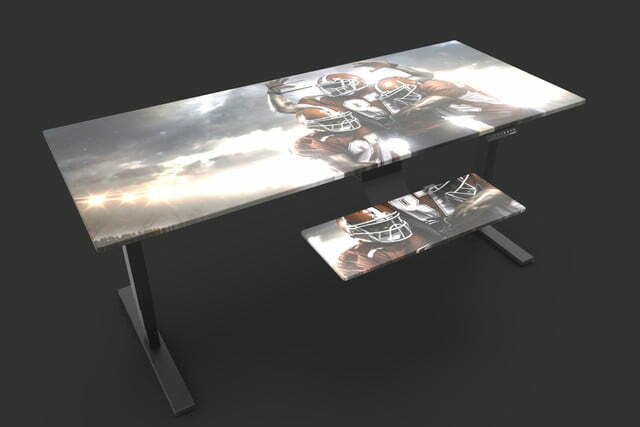 You can spill all you want, too, because the second skin protects the desk from abrasion, chemicals, UV, and more. 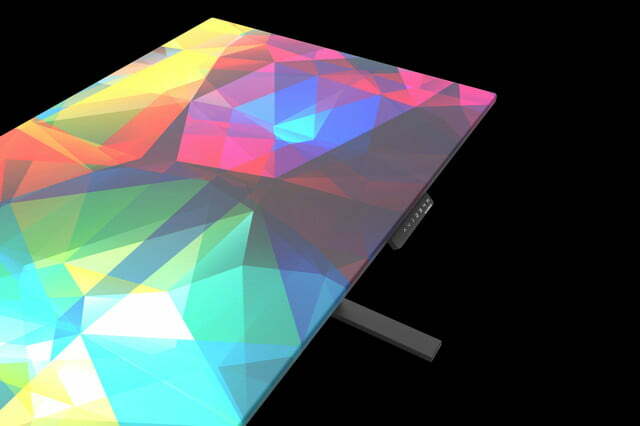 The company uses digital print technology to create skins with high-def graphic designs of customers’ choosing. 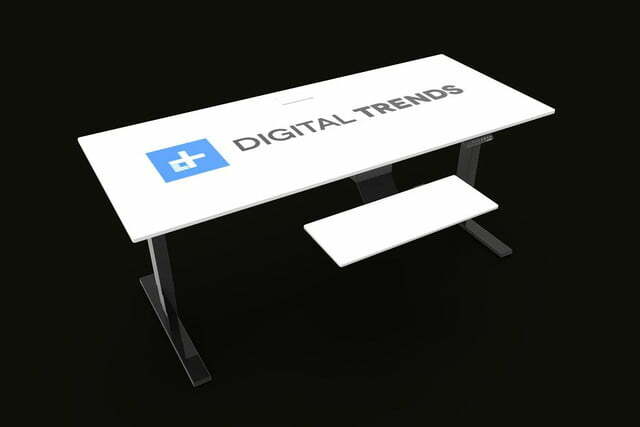 There is no shortage of Deskshield options; although the desks themselves are made from wheatboard — which the company describes as “the world’s most sustainable material” — they can take on whatever look customers want. 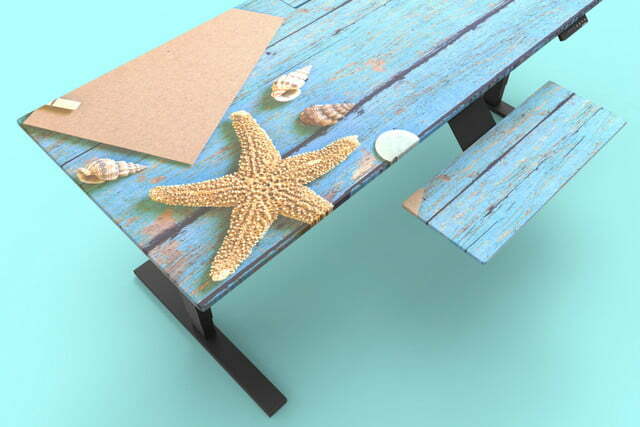 Consumers can opt for anything from the appearance of a specific wood to a scenic beach to a photo of their family. 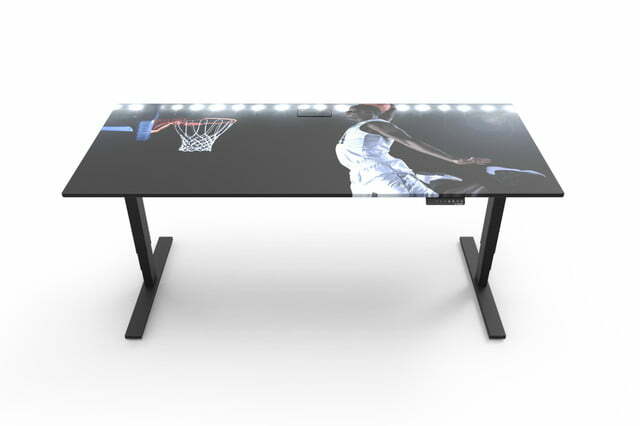 Sports fans can even pay homage to their favorite teams. 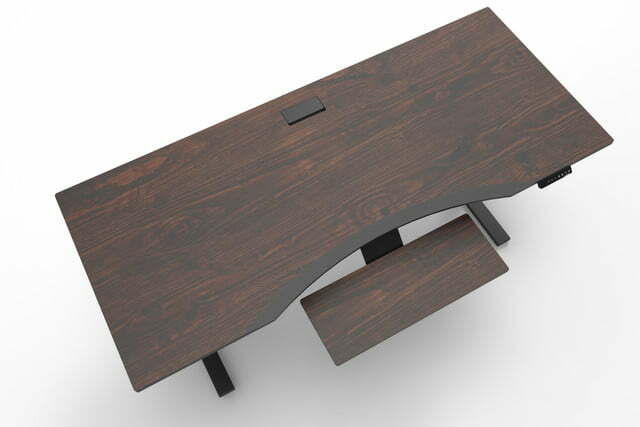 Customers are able to order a Deskshield starting at $139 as an add-on to an Evodesk. With its special built-in adhesive, the second skin is easy to apply, according to the company. The design is intended to minimize bubbles and other mishaps. 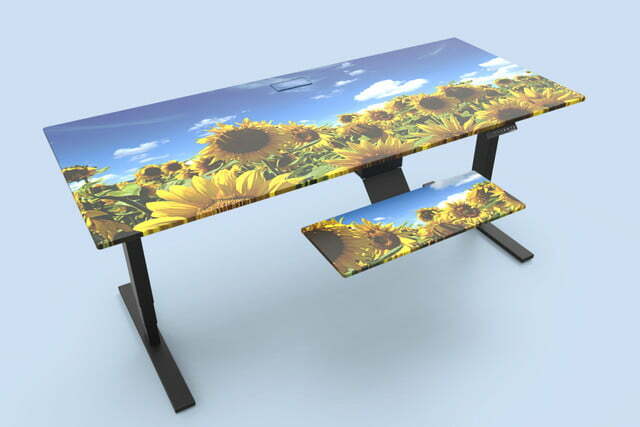 “If you can put a bumper sticker on your car, you can install a top skin,” according to Evodesk’s website. 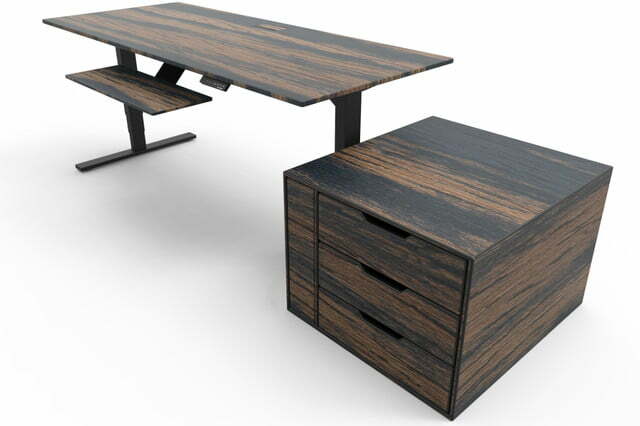 Evodesk also touts its ecological and social benefits. 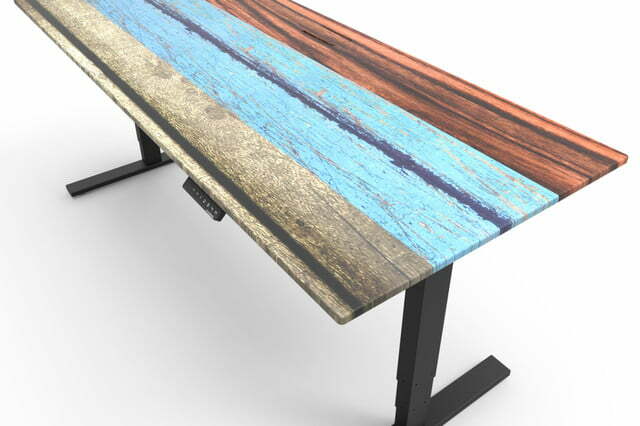 The standing desks are made from a new substrate that is derived from wheat stalks, an agricultural byproduct that is frequently burned rather than used for more eco-friendly purposes. On top of that, Deskshields are made in the United States.